Are You Feeling Down, Low and Lethargic? Do you feel hopeless, helpless or overwhelmed? Is your energy so low that you can barely muster the motivation to get out of bed in the morning? Are you dissatisfied with life and feel as though nothing will ever change? Has a divorce, job loss or illness left you in a permanent state of grief? Have you lost interest in things that once brought you joy? Do you turn to drugs or alcohol to numb your pain? Are you desperate to get back in touch with the best version of your self, but feel powerless to find a better path forward? Depression can make you feel like you’re falling into a black hole with no hope of escape. You might have trouble getting out of bed in the morning, perhaps lacking the motivation to go to work, attend class or look after your children. Life might have lost its meaning, leaving you with little drive to maintain your relationships or even take care of your own needs. As a result, you may find you are sleeping too little or too much, or your eating habits have changed. You may feel angry and don’t know why. You may be turning to substances to help you cope. Your spouse, friends and family members may not understand your pain, causing you to feel lonely and isolated. You may want to escape the black hole of depression, but don’t know if you can find your way out. If these emotions sound painfully familiar, you may be one of the more than 14 million Americans who experience depression in their lifetime. As many as 1 in every 20 people have symptoms serious enough for them to be medically diagnosed with depression, and many more have periods when they feel down and disheartened. Untreated depression is the leading cause of suicide in the elderly and suicide is the third most common cause of death among young people. People of all ages and backgrounds can be affected by depression, and it is twice as common in women as in men. Depression can be caused by a variety of different factors. Some people experience depression during a serious medical illness. Others may feel depressed during life changes, such as a move, job loss or the death of a loved one. Trauma, including physical, emotional or sexual abuse may lead to depression later in life. Still others have a family history of depression and may feel overwhelmed with sadness and loneliness for no known reason. 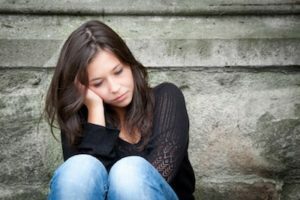 If you are feeling any of these symptoms and feel they may be due to depression, then you may need to the seek the guidance of a professional. As a therapist who has been helping clients overcome their depression for over 10 years, I know first hand that even the most depressed individuals can find relief. I’ve seen many clients escape the clutches of depression and go on to lead healthy, fulfilling lives. I’m confident that this can be your reality, too. Using a solution-focused approach, I will work alongside you as we set goals for addressing your unique set of problems. In our sessions, I will use cognitive techniques to help you to understand the thoughts and feelings that influence your mood. During the course of treatment, you can learn how to identify and challenge your negative self-talk, as well as distorted thought patterns. We will also take an in-depth look at the source of your depression and I can help you to understand and work through troubled emotions that may cause your depression or make it worse. In addition, we will work together to identify healthy ways to cope with stress. In cases where medication is needed, I can also collaborate with your physician to develop the optimal plan for you. With the help of depression treatment, you can increase your energy, decrease fatigue and improve your self-esteem. You can achieve a sense of fulfillment that perhaps didn’t seem possible before. You’ll be given a safe, nonjudgmental space to express and reflect on difficult emotions, thoughts and experiences with a compassionate, warm, knowledgeable therapist. I truly believe that you can feel better and have hope for everyone who walks through my door. I’m concerned about the time commitment involved in depression treatment. I don’t want to be in therapy forever. There’s no set timeframe for you to start feeling better. Some clients will need or want depression treatment for only a short period of time, while others may choose to go to therapy for longer. The decision will ultimately be yours. You will never be forced to go the therapy longer than you want to, although I will suggest additional treatment if I feel it’s needed. No matter what happens, I’ll be here to help you for as little or as long as you need me. My depression is so severe that I don’t think depression treatment can help. Relief is not impossible. There are many techniques that I can use to help you cope with your depression. I tailor each treatment plan to my clients’ individual needs. I will help you learn to challenge the distorted thoughts that lead to depression. We will work together to identify coping skills to relieve your symptoms and gain control of your mood. If medication is needed, I will work with you and your doctor to provide a comprehensive treatment plan to address your problems. I’ve seen many clients find relief using these approaches. Regardless of how down you’re feeling now, relief is possible for you, too. Your depression is not unconquerable. You can feel better and learn new tools and skills that will help you take care of yourself. I invite you to call me at (516) 639-0925 for a free 15-minute phone consultation. I’d be happy to answer the questions you have about your symptoms or depression treatment. I have been working with Pat Beller for about 1 year and she has helped me experience tremendous growth. I have been to other therapists before, but Pat is unique. Not only is she a great listener, she goes the extra mile to show that she actually understands you without judgment. For years, I have dealt with debilitating anxiety and panic attacks. Pat has great insight and was able to help me identify ways to deal with my panic attacks and face my fears. After working with Pat, my outlook on life is so much better than I ever thought possible. Patricia Beller has been my therapist for almost 5 years. It is without hesitation that I would refer her. Pat has helped me in ways that no other therapist has accomplished. She gets me right on center, when I need it the most. To say that she is a caring person, and an excellent therapist, would be an understatement. Pat Beller has been my daughter’s therapist for two years. After going through an incredibly traumatic period and not being able to put words to her feelings, I have seen a complete turnaround in my daughter’s confidence and anxiety level. She has blossomed and found her voice. I cannot imagine where my daughter would be and where we would be, as a family, without Pat. She has helped us all immeasurably. Pat is an excellent therapist and I would highly recommend her to anyone who is seeking therapy. She is professional, yet caring and warm and goes out of her way to make you feel comfortable from the start. When I returned home from college, I felt lost and alone. I was confused, overwhelmed and depressed. Pat helped me to realize that I could change my negative outlook and actually look forward to my future. Pat really cares about my progress and growth and always helps me to find solutions to my problems. Office conveniently located in Suffolk County, NY serving the following communities: Smithtown, Nesconset, St. James, Commack, Dix Hills, Huntington, Happauge, Kings Park, Patchogue, Port Jefferson, Rocky Point, Ronkonkoma, Centereach, Setauket, Stonybrook.